in the US Patent Office...but there they are! 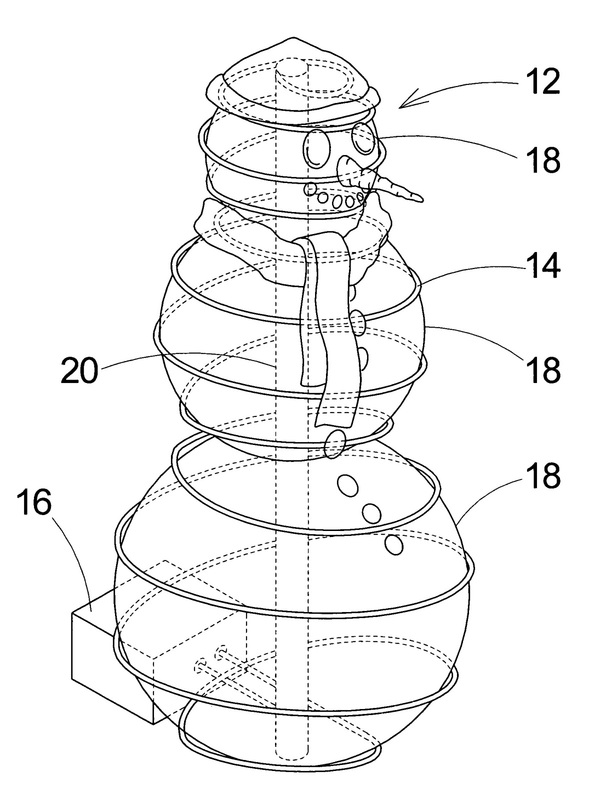 A building component for facilitating a construction of a snow man/woman. the interior substantially lighter than when the interior is filled with snow. snow to the spherically-shaped body. may be an electrically charged surface in combination with a texture or alone. 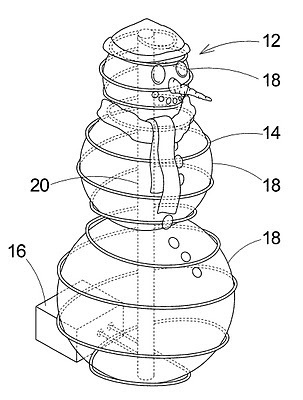 can always use this alternative of the "Instant Snowman"
includes a form assembly being for resting on a support surface. around an exterior of the form assembly. the refrigeration assembly is in fluid communication with the conduit. 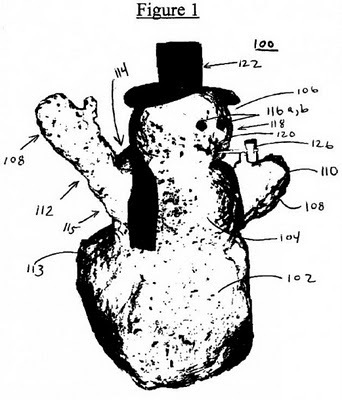 the form assembly with the appearance of being made of snow. and to this end, the instant invention substantially fulfills this need. maintain the mold structure in place. (in any season) Just send them our way!